Marble is a kind of limestone which is crystallized, and was used during ancient times exclusive only for palaces and cathedrals. However, it has been widely used worldwide because of its magnetic beauty and luxurious appeal. It is very hard to look for a type of marble which is rare to find and has a distinct characteristic. It is very important for a meticulous person to ensure that the design he chose is one of a kind which added attraction to his home or office wherein it specifically highlight some parts of the area that would surely get the attention of whoever came to visit him. Marble is usually used in floors and walls to make them look smooth, elegant and accentuated. Polishing a marble can be very tough, but it is worth it once you are able to appreciate its stunning beauty which adds a vibrant look in the place where it is installed. Marble restoration takes a long process, thus to ensure that it has a fine quality. First method which needs to be done is grinding. This stage is also called as flattening, wherein it removes roughness, ledges and makes the marble floor flatter. In addition, it also helps in removing the scratches and even stains. Next is honing which is a process which smoothen the marble floors and make use of industrial diamonds to make it shiner. This is also another way to remove the deepest scratches, as well as stains to make it look uniformed. This method makes the marble floor look more spectacular and vibrant again. Polishing is another process that gives marble floor a shining effect, which also make use of industrial diamonds, however, it is not the same in honing process because it uses a small graded type of that element. There are marbles that are still in good condition and can only do polishing to make it shine again. Lastly is the finishing method which is called crystallization. This method is very important because it gives a “mirror like” effect to the marble floor. This helps in preserving its color and brightness and the micro film is created on its surface to make it more durable and solid. This is usually used for stone maintenance. We are not only using a regular type of stone for marble restoration, instead we used diamond and finer pads to the surface of the marble to make sure that we achieve the shiny and fresh look of the floor that we really aim. Not only that it is very difficult to look for a beautiful marble, but it is hard to maintain as well. 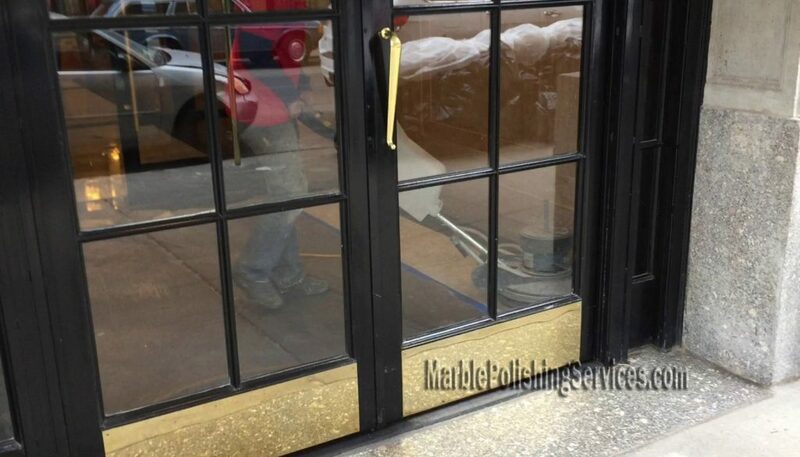 However, we still make it possible for those marble users in state areas in Manhattan, Brooklyn and Queens to maintain the shiny look and “mirror like” characteristic of their marble floors. It is very comfortable to use marble floor not only at homes but in offices as well. Its look matches with this corporate location that compliments in all areas, whether it may be used as floor or walls.